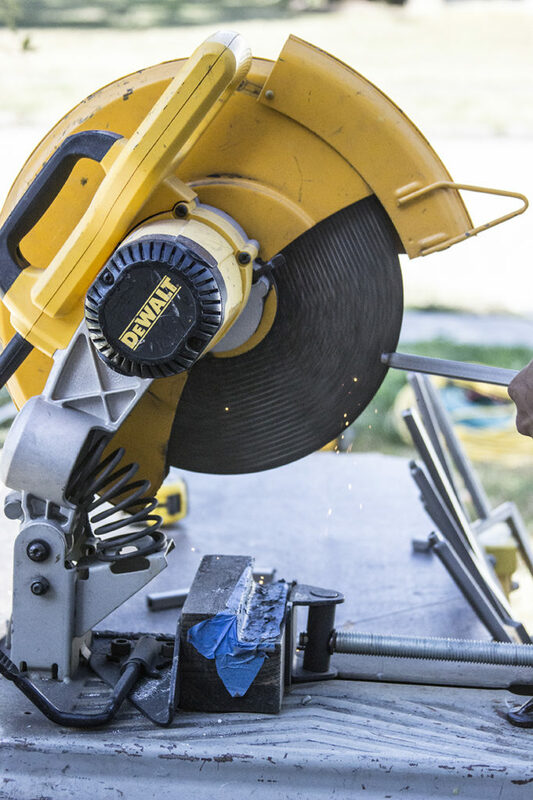 Using a metal chop saw to cut metal balusters can pose certain challenges depending on your setup. 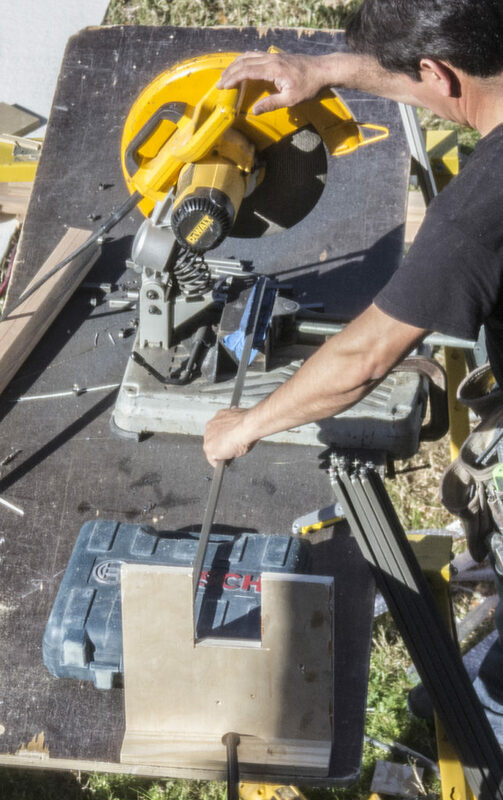 This week we highlight one installer’s solution: a simple and effective jig using discarded material. 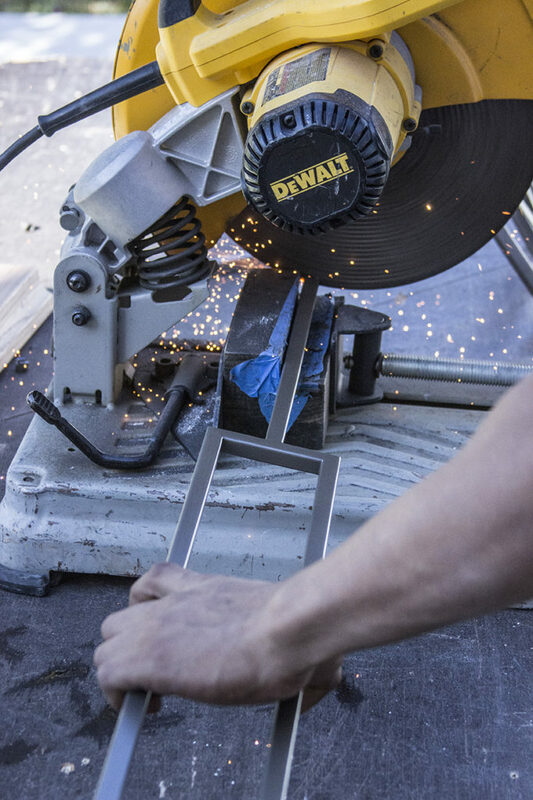 This setup is designed for total portability and flexibility on job sites, reducing time needed to cut large numbers of metal balusters while preventing damage to the powder coated finish. 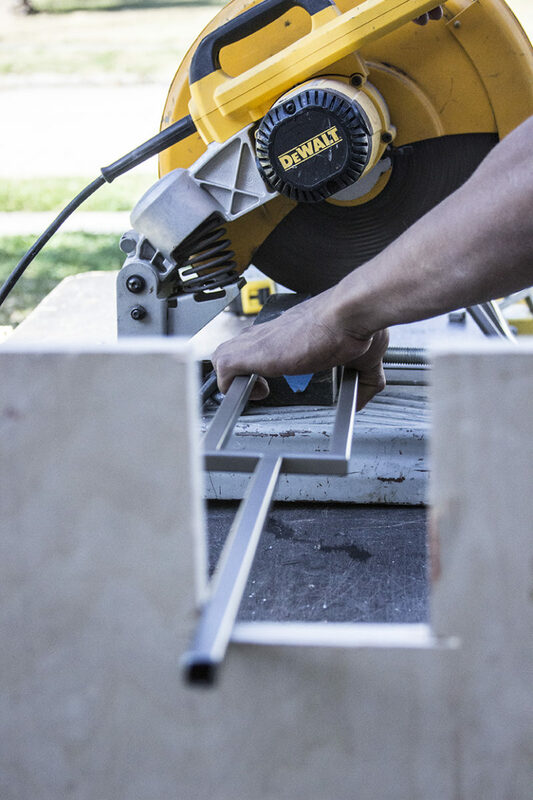 A do-it-yourself jig made from plywood will help keep the baluster level and square with the saw. Use clamps to secure both the jig and chop saw to your work surface. A discarded newel block end is utilized to create a cutting block. This helps prevent scratching the balusters on the metal surface of the chop saw while elevating your work surface for ease of use. For additional scratch protection put several strips of painters tape on the block. Use the side of the blade to remove any burring on the cut end of the baluster. Always wear protective eye wear when using cutting tools.